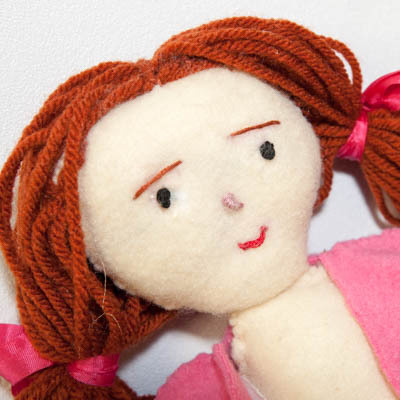 Try your hand at sewing and embroidery and learn the basics to create your own fabric doll. On the first day, participants will learn how to cut and sew the doll, and in the second class, the doll’s clothes will be created. The class is taught by professional artist, Hilda Eiber, who has taught several doll making courses, including at the Washington County Museum in Hagerstown. 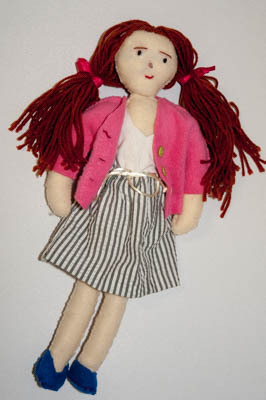 This is a hand sewing course to learn how to create a cloth doll and clothing improve sewing and embroidery stitches too. This is a great class for Mom’s and grandmothers who like to make a holiday gift for their children or grandchildren, or encourage creativity and new skills, for a teen working on their basic sewing skills. The course is open for students 12 years to adults. The workshop is sponsored by the Berkeley Arts Council and will be held at the Berkeley Art Works, 116 North Queen Street in Martinsburg, WV. The dates are Sundays November 30 and December 7, 1-3pm. Pre-registration is required. For details and online registration, visit http://artworks.berkeleyartswv.org/workshops/. The Berkeley Art Works, a project of the Berkeley Arts Council, is the realization of the long-held dream of the arts community in Martinsburg and Berkeley County West Virginia: to have a community-based arts facility that suppors local and regional artists, brings quality arts experiences for the members of the public, and provides a wide range of arts learning experiences for local residents, artists, and artisans. The Berkeley Arts Council is on the Web at www.berkeleyartswv.org.